If you have less than perfect credit, but want to purchase a car, all hope is not lost. 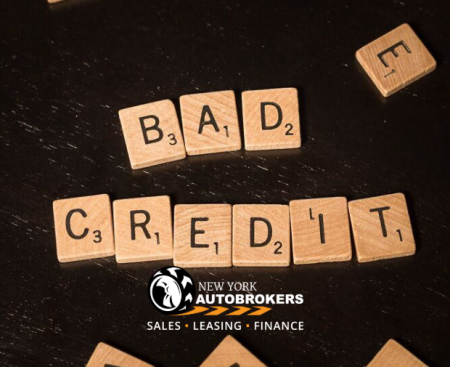 We here at NY Autobrokers are experts when it comes to purchasing vehicles with bad credit. Learn more about how you can get behind the wheel of a vehicle, even with bad credit, by reading on. We understand, bad credit happens. Sometimes we don’t have accounts that are established for extended periods of time, or other times our repayment history is less than perfect. The first step in getting approval for a vehicle purchase is acknowledging your bad credit and attempting to repair it. Showing lenders that your credit score is improving is an excellent first start. The second step you want to take during the car buying process is calculating what you can afford. Be sure to budget accordingly so you don’t get in over your head. You can calculate your budget by determining your monthly income and expenses, but don’t forget to factor in sales taxes and extra costs. Once you know your budget, it’s time to find a lender. Lenders will likely evaluate your credit score before accepting or denying you, but this isn’t the only thing lenders look at. Additionally, lenders may approve you with a bad credit score, just expect higher interest rates. Make sure you are familiar with the auto loan rates and loan terms that you will come across during your car buying process. One popular term you will come across is APRs. This stands for Annual Percentage Rate and has to do with the amount of interest you will be charged on your principal loan amount. APR can affect your monthly payments, so factor this number into your car buying budget. Following this advice will help you become better prepared for the car buying process. For additional help getting behind the wheel of a car, seek our services at New York Autobrokers! You can give us a call at 631-446-4455 for more information. We look forward to working with you soon!